Procedures in cosmetic dentistry focus primarily on the aesthetics of your smile. After all, even if you have excellent oral health habits, there may be a thing or two you dislike about the appearance of your teeth. At National Dental, our doctors can work with you to create a straighter, whiter, more balanced smile. If you find yourself constantly covering your mouth when you smile or laugh, cosmetic dentistry in New York could be your solution. The teeth can stain over time. Whether your discoloration is due to dark-colored foods and beverages or just the passing of time, professional teeth whitening can brighten your smile by several shades. Patients at National Dental have the option of choosing between take-home bleaching kits, which allow individuals to whiten at their own convenience, or in-office whitening, which can yield dramatic results in under one hour. Do you have teeth that are misshapen, chipped, or gapped? Maybe you have intrinsic tooth discoloration, which cannot be corrected with teeth whitening. If so, dental bonding can conceal all of these cosmetic flaws and more. A noninvasive procedure, bonding simply involves applying composite resin to the teeth in order to change their appearance. Bonding is versatile, cost-effective, and completely reversible. Like bonding, porcelain veneers also camouflage a variety of aesthetic imperfections, including gaps, chips, cracks, and discoloration. In contrast to bonding, however, veneers are custom-crafted from ceramic porcelain. These thin restorations can be bonded to the front surfaces of the teeth to cover any concerning blemishes. The result is a more beautifully balanced smile. Dental crowns have been used as a restorative treatment for decades. Today’s advanced materials now allow us to create natural-looking crowns that are also durable and long-lasting. While metal crowns are still available, many of our patients at National Dental prefer our tooth-colored porcelain crowns, which can bring uniformity to their smile. The gums are meant to elegantly frame the teeth. Some individuals are born with an irregular tooth-to-gum ratio, resulting in an uneven or “gummy” smile. In these cases, an aesthetic gum lift can be performed to remove excess gingival tissue and reshape the gum line. If your beautiful teeth are hiding beneath your gums, this cosmetic procedure could be the solution for you. This modern orthodontic treatment has been used in millions of aesthetic cases. If you are self-conscious about crooked, crowded, or gapped teeth, Invisalign can straighten your smile without metal braces. This innovative system uses a series of clear aligners made from BPA-free thermoplastic materials. This option is an outstanding choice for teens and adults who want a more discreet orthodontic solution. After all, because the trays are nearly invisible, others will not even notice you are wearing them. Give your appearance a dramatic boost with a smile makeover. This comprehensive treatment combines two or more cosmetic procedures for a remarkable aesthetic outcome. Because each patient is totally unique, every smile makeover will be different. 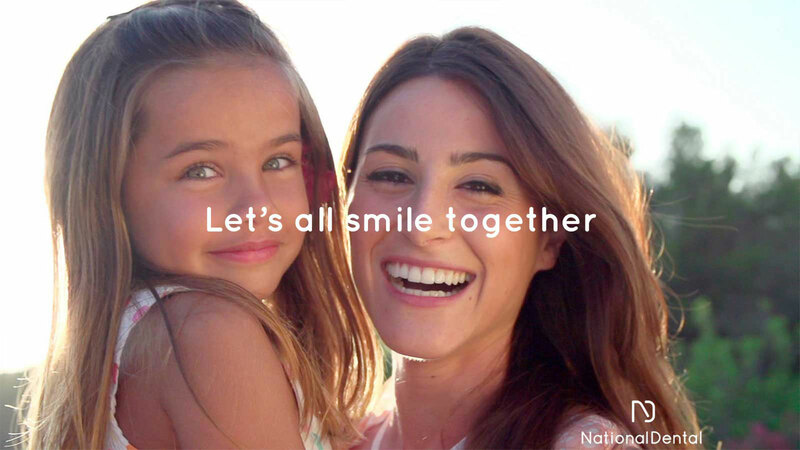 At National Dental, we cater every treatment plan to fit the needs of the individual. Your smile should match your personality, so you can take on the world with confidence. If you are looking to bring your smile to the next level, schedule a consultation with one of our doctors at National Dental. You can call our office at (516) 535-0544 or contact us online anytime.